The Vertical Toast Solid Bamboo Flooring from Home Decorators Collection offers natural beauty and a unique grain pattern. The vertical style flooring imposes a stronger, narrower appearance for an aesthetic look. The prefinished flooring has a 7-layer aluminum oxide finish, providing protection from everyday wear and making it ideal for active households. This product has achieved GREENGUARD Indoor Air Quality Certification and has been tested for more than 10,000 volatile organic compounds, including formaldehyde, to meet these standards. The premium bamboo and patented technology assures years of comfort. 21.44 sq. ft. per case and case weight: 37.20 lbs. Buy online Home Decorators Collection Vertical Toast 3/8 in. Thick x 5 in. Wide x 38-5/8 in. 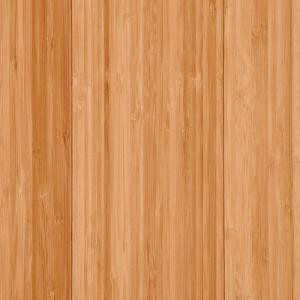 Length HDF Bamboo Flooring (21.44 sq. ft. / case) HL619VH, leave review and share Your friends.